Beautiful Gong Shim is a refreshing romantic comedy that flew under my radar this summer where I had little reason to believe that it would stand out among the sea of rom-coms in Kdrama world. Much to my surprise, the drama was cute, quirky, and fun. It wasn’t what I was expecting in a good way and I’m glad I watched it for the sake of having to review it. Beautiful Gong Shim has a simple story focusing on Gong Shim (Bang Min Ah), an average girl who’s been neglected by her family in favor of her successful sister, and Ahn Dan Tae (Namgoong Min), a lawyer who handles cases for those in need for free. Our lead characters meet and their lives are changed forever. Although a bit long at times, Beautiful Gong Shim is a sweet, lighthearted, and thoughtful drama worth your time overall. Much to my surprise, the drama was cute, quirky, and fun. The first few episodes of Beautiful Gong Shim have a good pace to them. They introduce all four lead characters in their natural habitat, so we get to see what they’re really like very quickly. Gong Shim is an aspiring artist who is jobless at the moment, and Dan Tae ends up renting the rooftop apartment on top of her family’s house. 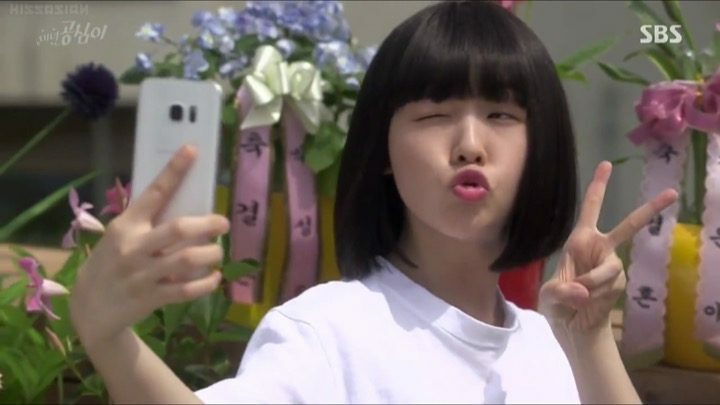 At first Gong Shim finds him weird and annoying, but soon enough they become friends. Gong Mi (Seo Hyo Rim), Gong Shim’s favored sister, is presented nearly as an antagonist in the drama. But we soon see that she has her own challenges and worries, which humanizes her character a bit. She’s the sole breadwinner for the her family and is under a lot of pressure because of it, on top of the stress from her demanding job as a lawyer. She isn’t necessarily evil, just misguided. Finally, our second male lead is Seok Joon Soo (On Joo Wan), the grandson of a wealthy family. His grandmother and the CEO of Star Group lost her real blood-related grandson Joon Pyo 26 years ago and hasn’t stopped searching for him since then. 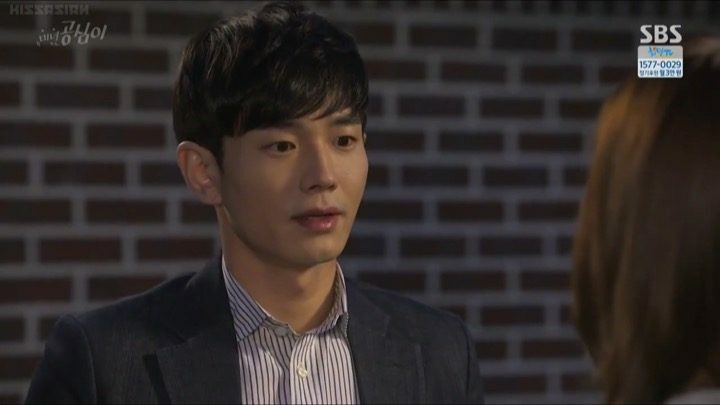 Joon Soo’s father is an illegitimate child, coupled with his dad’s insistence on giving up the search for Joon Pyo, makes Joon Soo’s grandmother very harsh towards him. While it’s sad she lost her grandchild, I think the rest of the family shouldn’t be blamed for wanting to give up the search because it’s been so long. Dan Tae and Joon Soo become friends when Dan Tae saves him from being attacked. Joon Soo also coincidentally meets Gong Shim a few times, starting the inevitable love triangle. Or, should we say love square, when you throw in Gong Mi, who’s trying to date Joon Soo because of his position at Star Group. As such, Beautiful Gong Shim succinctly sets up the main premise and all relevant characters. I’m curious to see where the drama will go from here. The central focus of Beautiful Gong Shim becomes very clear in these episodes — the continued search for Joon Pyo. We’re given glimpses to deeper and darker issues beneath the calm surface. We find out what happened to Joon Pyo in the past and learn that some characters aren’t as innocent as they seem at the same time. Unexpectedly, Joon Soo’s grandmother hires Dan Tae to look into the matter surrounding Joon Pyo for her. On the romance front, things develop rather quickly. 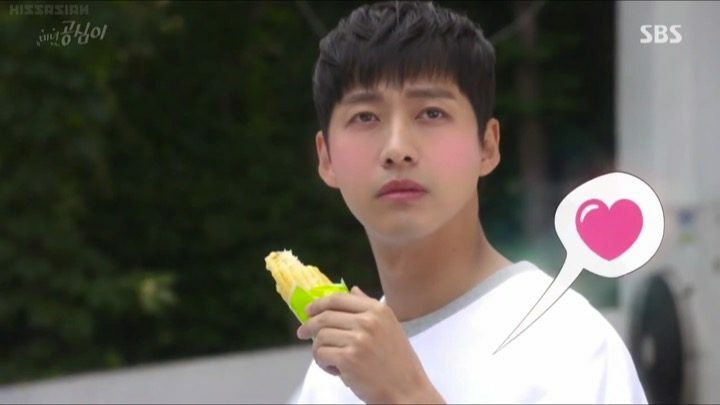 Both our leads ens up confessing to Gong Shim already, in their own ways. The approach they took are very different. Joon Soo is upfront with her and tells her that he likes her, while Dan Tae is more subtle about it. He asks her to stay, rather than to go to Jeju Island for a job opportunity. Although he doesn’t say it directly, Dan Tae’s feelings come across clearly. 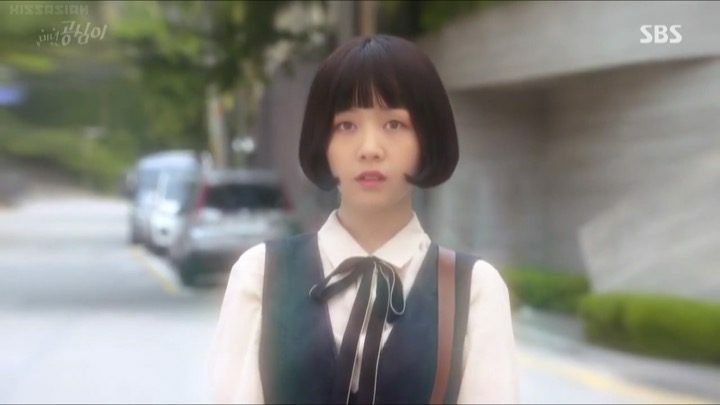 However, rather than being sucked into the love triangle, Gong Shim decides to take some time for herself, which I think is great. It gives her character time to develop rather than just being an accessory to advance the love lines. Meanwhile, Gong Mi turns out to be much more conniving than I initially thought, and it makes me grow increasingly unsettled about her. She often takes credit for things Gong Shim does, and is even glad when she is fired so she can’t get close to Joon Soo anymore. It’s strange to me that such ill feelings can persist among real siblings. 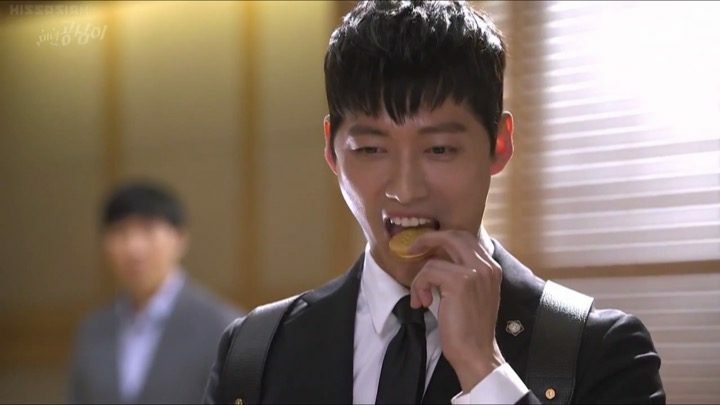 But I’m waiting to see how the drama will leverage Gong Mi to stir up more trouble for our heroes. Our characters are moving on with their lives, in a timely manner. Gong Shim’s working odd jobs, Joon Soo is doing well at Star Group, and Dan Tae is focusing on his investigation of Jun Pyo. Just when Dan Tae is about to discover the truth, his father ends up hospitalized, and unable to tell him the truth. The timing does seem a bit too convenient, even a tad deliberate. In fact, someone’s badge gets left behind, prompting Dan Tae to take further action. I like Dan Tae as a character because he is very easy going and thoughtful. Even when Gong Shim confesses to him, he doesn’t immediately tell her all that he’s going through, and rejects her out of consideration for her. The drama does a good job of not making him seem cold hearted, by amping up the fact that he’s the type who doesn’t try to burden others or ask anyone for help. However, since Joon Soo overheard the confession, I’m hoping he doesn’t do anything out of jealousy that he might regret in the future. In any case, Dan Tae gets Gong Shim a secretary job, and Gong Mi joins Star Group’s legal team, so they’re all within close quarters of each other for the benefit of the storyline development. I’m interested to see what kind of things everyone will discover. Gong Mi starts to get close to Joon Soo’s mother intentionally through her new position, while Dan Tae heads the investigation in finding Joon Pyo, only to uncover an unexpected and long-buried secret. These next episodes seem to drag on a little, making me wish that Beautiful Gong Shim wasn’t 20 episodes long. However, these are indeed important episodes as many mysteries come to a resolution during this section of drama. We hear the truth behind Joon Pyo’s kidnap and disappearance while new facts about Joon Soo’s family and Jun Pyo surface as well. Things seem to drag on a little, making me wish the drama had fewer episodes. Joon Soo tries to handle things on his own, and agrees to keep what he knows a secret, showing how he can be influenced by external factors. But since Dan Tae is already suspicious of his intentions, I can’t see this ending well. But both of them continue to think about each other and what it will mean when the truth comes out. I like how they take the time to think about the impact on each other and that though their friendship is important, it may not be the same again. 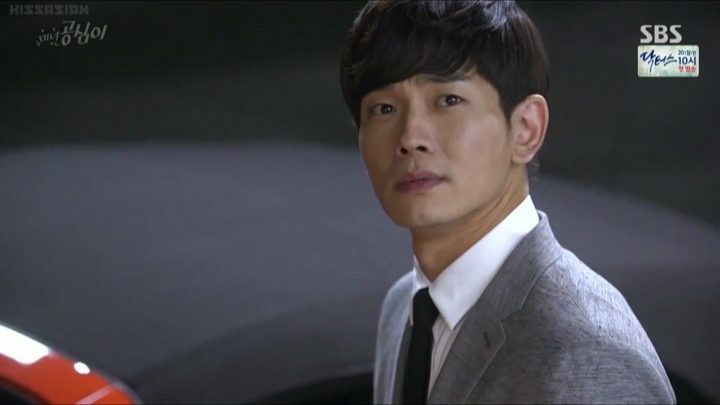 On the other hand, Joon Soo’s mom realized that Gong Mi lied about not knowing Joon Soo’s identity and not having ulterior motives for approaching him. I’m glad that at least someone’s figured out Gong Mi’s true intentions. However, Joon Soo asks Gong Mi to be a part of his legal team anyway. I’m not sure why he’s keeping her close despite knowing that she lied about her motives. It seems like the drama is hinting at these two becoming a couple somehow, which make little sense because of their lack of meaningful interactions. Meanwhile, Dan Tae and Gong Shim are getting cozier. It’s nice to see Dan Tae allowing himself to be happier with her, instead of just rejecting her because of his trouble with coming to terms with his identity. We know that he likes her, so it’s good to see him spending more time with her, which certainly helps make the otherwise slower pacing more bearable. Everything comes to a full wrap in the final stretch of the drama. I’m happy about how it turned out for the most part, I just wish it had happened a lot sooner. The last few episodes of Beautiful Gong Shim would have been a lot more effective rather than seeming like things dragged on. It’s a happy ending for all, but one that could have come sooner. 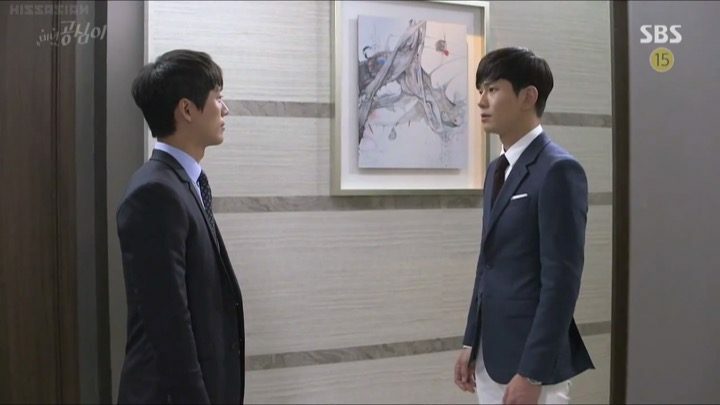 The drama pits Joon Soo against Dan Tae over some final misunderstandings between them caused by Joon Soo’s uncle. We know the uncle is not above murder and kidnapping, so his attempt at pinning everything onto his nephew is no surprise. It just goes to show how ruthless he can be. Lastly, it’s implied that Gong Mi and Joon Soo will try to start fresh and date. But Gong Mi hasn’t been too involved with Joon Soo himself, and spent most of her time trying to win over his mother. The fact that they got together doesn’t make much sense and seems more like a move by the drama to make it work for the leftover characters. In any case, it’s a happy ending for all, but one that could have come sooner. I think the drama would have benefitted from having a few less episodes, but it was still a well-executed entertaining rom-com overall. This was a recap, and only a wee little bit of a review.